Underfall Yard Volunteer Writer Natalie Smith investigates the jobs done by women in what has traditionally been a male-dominated environment. It began with a photograph in the Visitor Centre at the Underfall Yard. Captain Short beams into the camera, clutching his retirement gift of a radio. Surrounding him are a group of 16 men and just three women. I started thinking about Harbour-based job opportunities available to women in the past and what has changed. After research at Bristol Archives and the Central Library, I found the name of a woman who helped shed some light on my question. Captain Short, of the Dredging Department, is photographed here at his retirement. Louise Davies was 18 years old in 1928. The year was one of social change: The Great Depression would soon hit hard with economic crisis and hunger marches. Although women had gained the vote, Louise could not exercise it until she was 21. She had relocated from South Wales to Bedminster. Her father – a teacher – had experience of moving for work and, perhaps, bringing his family to Bristol was a result of high unemployment in the Rhondda at the time. The fact that many of his pupils’ families were seeking work elsewhere might have also been a factor in the decision. Working as a timekeeper in the Engineer’s Department, Louise’s job probably involved monitoring and recording working hours from dockers’ clock cards, calculating wages and arranging payment. I wondered how she felt working in a male-dominated environment. The seven men employed in similar, so-called ‘general worker’ roles, were older: the nearest in age – Percival Inglis – was in his thirties. Yet Louise made long-lasting friendships. Percival was a witness at her wedding over a decade later. Louise’s marriage certificate does not show her occupation. As was often the case, a woman’s job role wasn’t recorded. Other factors such as the ‘marriage-bar’ meant women giving up work on marriage. Carrie Hitchcock at the helm. 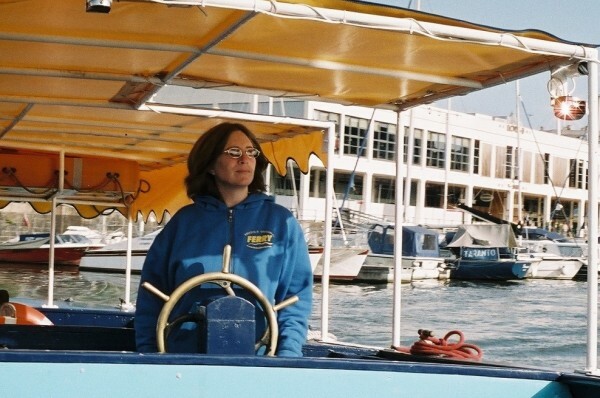 To gain an insight into women’s roles on Bristol Harbour today, I spoke to Carrie Hitchcock, a mum of two and Skipper and Education Coordinator at Bristol Ferry Boats.Carrie joined the company in 1997 as a crew member with no prior boating experience. At the time, the culture on the Harbour was still very masculine, men were the skippers and women worked as crew, and her elevation to skipper was met with some resistance. 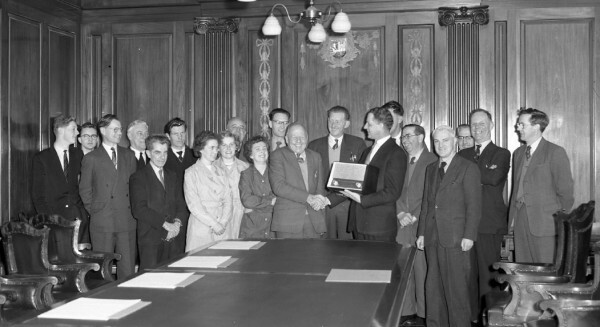 Comments such as, ‘this is a man’s job,’ weren’t uncommon but made her more determined.Many organisations on the Harbour including other ferry companies, the Underfall Yard Trust and businesses in the Yard, all now have women in positions of responsibility. Perhaps a future retirement photograph – or selfie? – will still show someone beaming into a camera, clutching a leaving gift, surrounded by a fairer representation of women. The Underfall Yard has a variety of volunteering opportunities. Further information is available here.